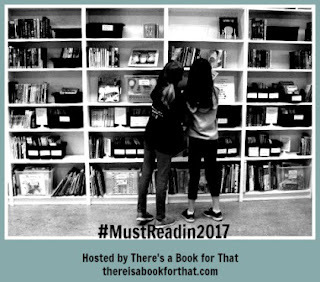 In January, I made a list of "must reads" for 2017 along with Carrie Gelson of There's a Book for That and a community of other bloggers. Reading over the lists that other bloggers made gave me lots of titles to add to my own ever-growing to-be-read list. You can read about an update on the progress I made with my must-read list back in April here. This is another update on my progress with reading the books on my list. As of last April, I had read eight of the books on my list. As of today, I have read most of the rest of the books on my list. I read Orphan Island by Laurel Snyder, a very compelling and unique story. I had been anticipating Tumble and Blue because I loved Cassie Beasley's Circus Mirandus so I was glad to finally read this one. It was magical and beautiful. The Great Treehouse War by Lisa Graff is an amusing star about a group of kids who go to war against their parents, but it is also about a girl dealing with the challenges of having parents who are getting divorced. Jake the Fake Keeps it Real by Craig Robinson is a funny chapter book about a boy who finds his true self that I think will appeal to reluctant readers. I read two books that will be great for transitional chapter book readers. One, The Unlucky Lottery Winners of Classroom 13 by Honest Lee and Matthew Gilbert tells short, funny stories of what happened to a class of students when they won the lottery. Isadora Moon Goes to School by Harriet Muncaster is also an amusing book that tells about Isadora, who is half fairy and half vampire and conflicted about whether she should go to fairy school or vampire school. 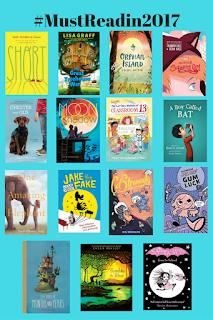 All of these were great reads and books I would recommend to middle grade readers. I read one of the professional books that was on my list. 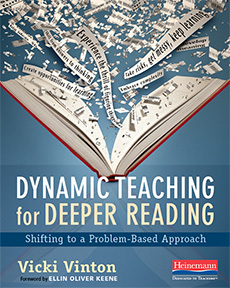 I discussed this professional text as part of #cyberPD, a virtual professional book study. You can read my posts about it here, here, here, and here. This was an insightful professional text that got me thinking about how I teach reading. A worthwhile read. I still have one middle grade novel on my list. I have not yet read Chester and Gus by Cammie McGovern. I checked it out of the library once, but I had to return it before I had a chance to read it. I will be looking for it at the library again soon. I have one book from my professional book list still to read. This book is Language at the Speed of Sight: How We Read, Why So Many Can't, and What Can Be Done About it by Mark Seidenberg. This book seems a bit dense which is why I have been putting it off, but it definitely sounds interesting. I bought it back in January so I have no other excuse not to read it. I've had several books that I checked out & had to return, so understand the dilemma, Lisa. I loved Orphan Island, and A Boy Called Bat, need to put several of yours on my 'next' list, like Tumble & Blue. I liked Circus Mirandus too! Thanks for posting and happy reading! So many people have said good things about Orphan Island. I need to add it to my list! Congrats on making such good progress on your list. So many of us have enjoyed Orphan Island. The Great Treehouse War is one I would like to read. Tumble and Blue is on my to read list. Maybe for next year! I adored Orphan Island. I adored A Boy Called Bat. I also have added Orphan Island, because everyone keeps loving it!